Win a super Kayak Experience for two in Killarney with Mór Active Tours! 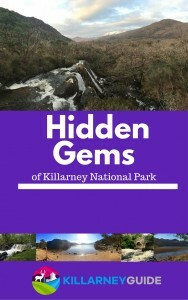 Discover the hidden beauty of the Lakes of Killarney with a gentle kayak adventure exploring the incredible history of Ross Castle and experiencing the lakes unique wild nature. This mesmerising kayak tour is the best way to experience the Lakes of Killarney. Find out how its surrounding landscape was formed and observe its beautiful nature close at hand. Mór Active Tours as part of Wild N Happy Group Ltd. have grown to be one of Ireland’s leading tour experts by offering specially designed activity, culture and eco tours. Find out more at moractivetours.com. Enter the competition here and share the special link you get after entering. This will increase your chance of winning.